Modifying supercars is all the rage right now. Whether it’s the latest wide-arch Liberty Walk creations or the twin-turbocharged monsters from Koenig Specials, what was once looked upon as a bit of a taboo subject is now commonplace all around the world. But here’s the thing; tuning supercars doesn’t have to be a gaudy or outrageous experience. Sure, cut arches and military-themed paintwork makes a big statement when getting worldwide attention for your business, but in reality a much more reserved approach can yield infinitely better results. Want proof? 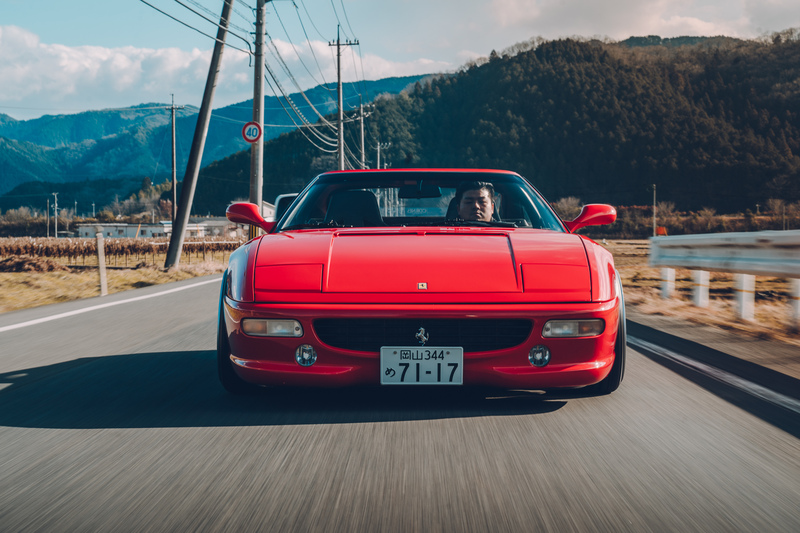 Just take a look at Tatsuya Yokoyama’s Ferrari F355 GTS. 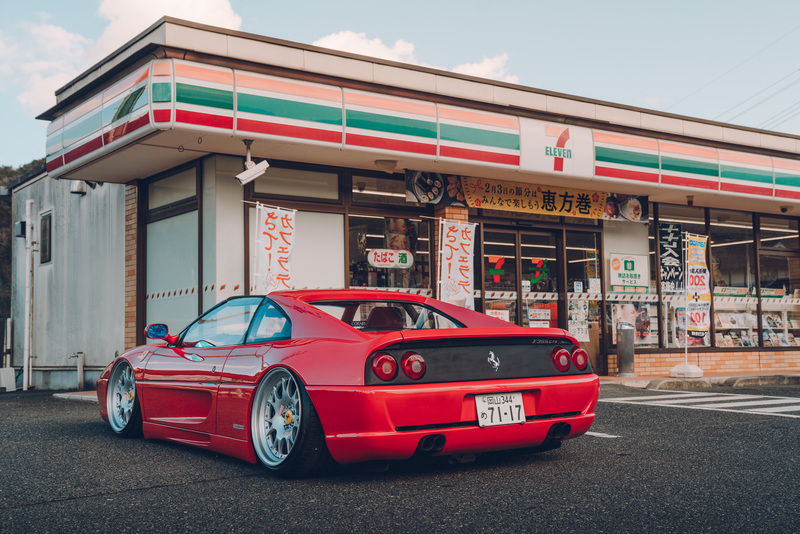 It’ll come as no surprise that Tatsuya resides in Japan, a country infamous for its carefree approach to all things tuning. 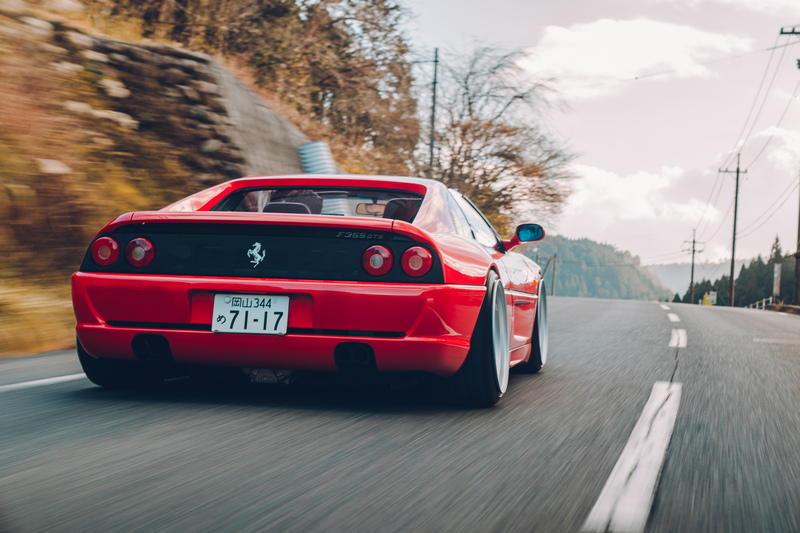 Based in Okayama (a cool 8-hours drive from Tokyo),Tatsuya’s take on supercar tuning is unlike any other in Japan. Teamed up wiith Kazuki Ohashi – otherwise known as @Kazuki_Crossglow on Instagram – the pair have turned their hobby into a business simply known as Madlane Ltd.
What’s Madlane? Put simply, these are the kings of stancing supercars. 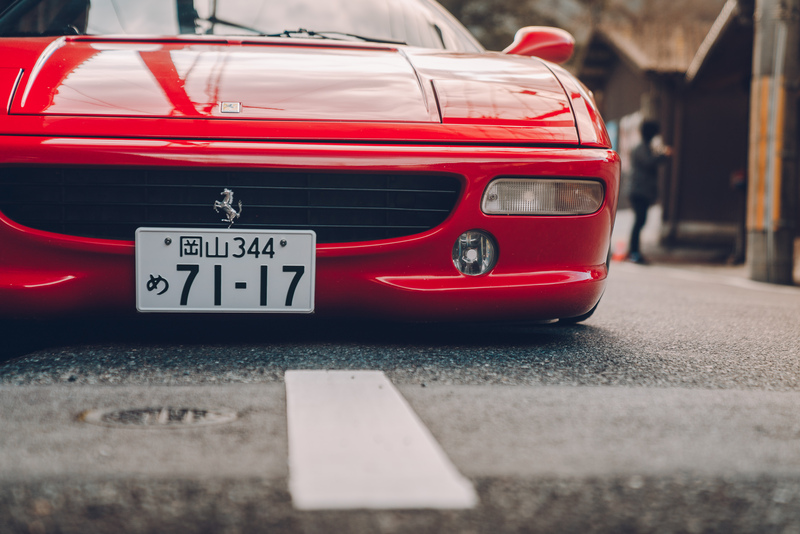 Every model they turn their attention to looks outrageously cool, from a Ferrari Testarossa to a Porsche 964 and even a Lamborghini Diablo. Bring your car here, come up with a vision, Madlane make it a reality for you. But here’s the thing, Kazuki and Tatsuya don’t just get a car, chop it up and throw it into the booth. There’s a much more methodical approach to their work, and it all starts from choosing the right base model. 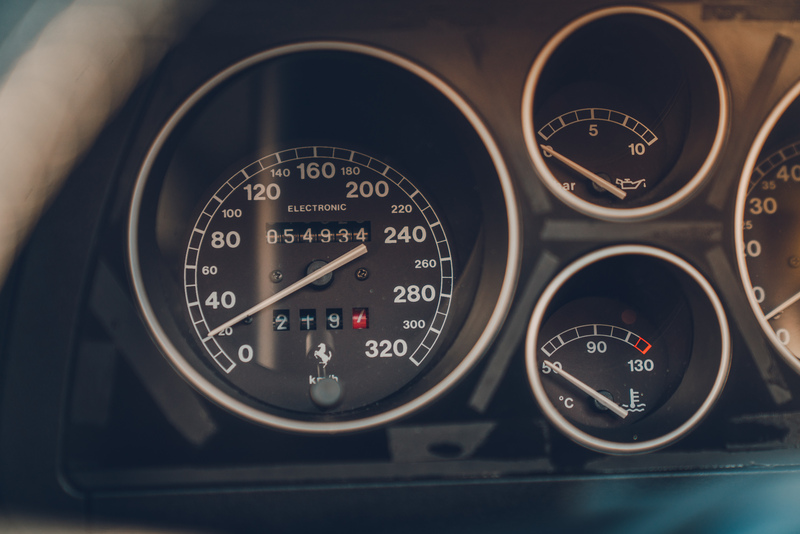 Low mileage, immaculate bodywork and a complete interior – Madlane aren’t about redesigning classic designs, but rather subtly tweaking ’em with modern technology such as Air Lift Performance suspension. Drivability is key for Kazuki & Tatsuya, so naturally air suspension has revolutionized their approach to tuning. 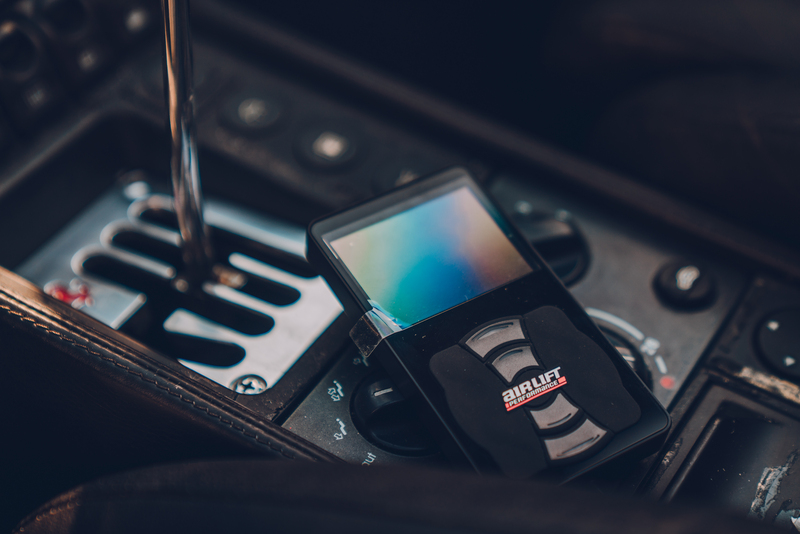 Gone are the days of smashing splitters and getting stuck while simply driving around town – air gives you that flexibility to drive low and, at the touch of a button, raise all four corners to clear even the biggest obstacles. Best of all, every car can still be properly used without sacrificing the killer handling. 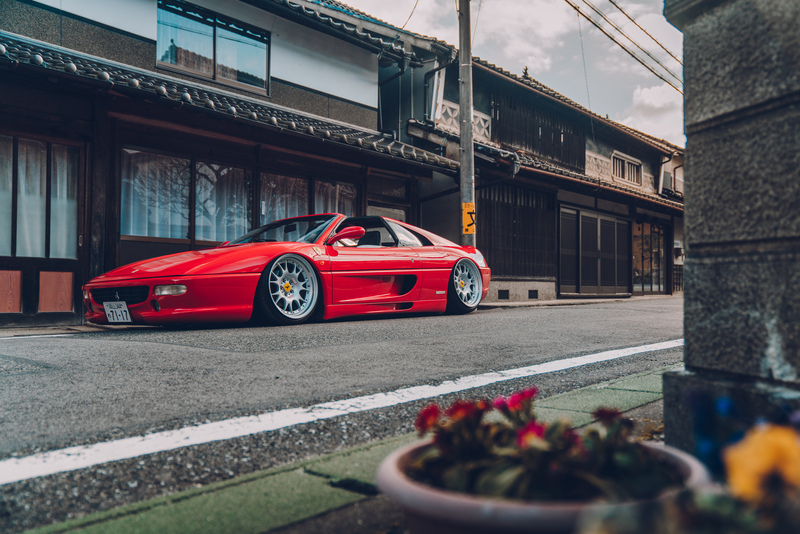 Tatsuya’s Ferrari 355 GTS is a work of art. 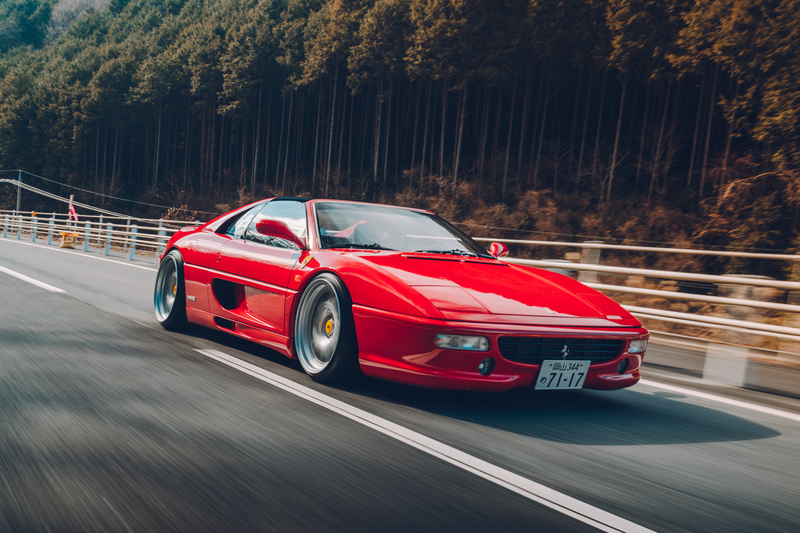 It’s the epitome of the 90s, and one of the best-looking Ferraris ever made… which instantly makes it one of the best-looking cars ever. What’s more, the GTS was a model limited to just 2577 units, boasting a targa-style hard top (which could be stored behind the seats) along with a host of other tweaks and upgrades compared to stock. From the outside, it doesn’t look like there’s masses of work involved in Tatsuya’s Ferrari but that’s why it works so damn well. 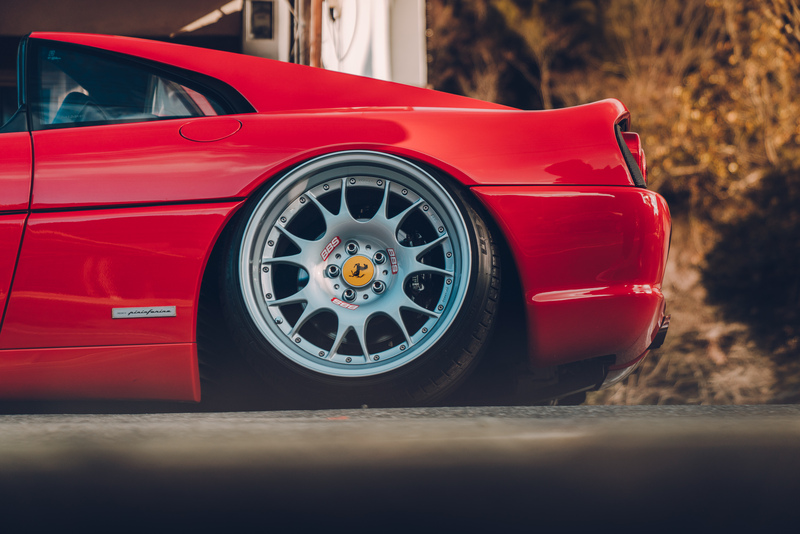 Custom air struts were developed in-house at Madlane, and while custom struts are nothing new manufacturing them to fit within the ultra-limited arch space of the F355 is no easy task. Less space = smaller bag/damper which, approached badly, can hamper the driving experience. Air Lift 3H management gives Tatsuya that killer stance and ability to perfectly tuck the custom-made Madlane wheels (based on BBS CH centres) within the stock arches. No cutting, no rolling, just precise fitment. For the interior, a pair of uber-rare Recaro A8 seats replace the stock Ferrari items along with a Momo steering wheel and Air Lift 3H controller. When the interior looks this good, why mess with it anymore than necessary? Then there’s the noise. 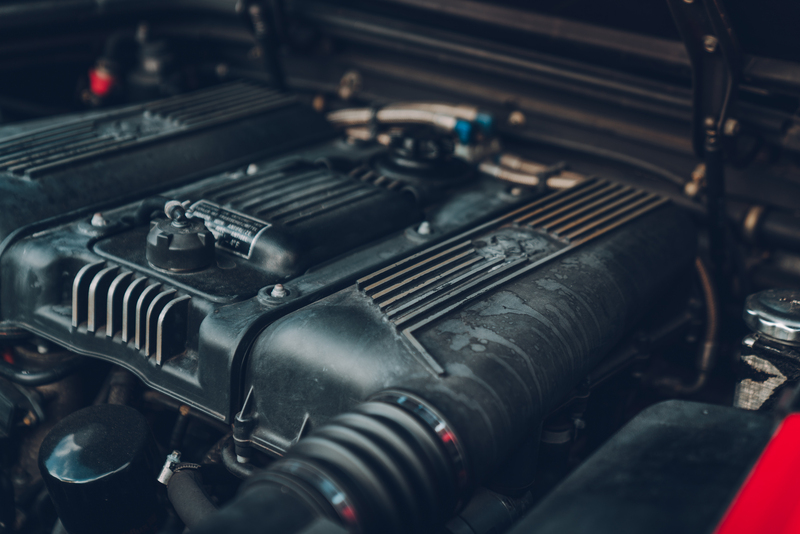 The 3.5-litre V8 boasts a flat-plane crank, 5-valves per cylinder and a rev limit close to 9000rpm. Combine that with a tubular Kreissig exhaust and the noise is out of this world. This isn’t a ‘mad’ build, but it’s brilliantly thought out and executed. Madlane aren’t trying to reinvent these supercars – they’re just accentuating the style using modern techniques. These guys aren’t about ultimate speed on track; they’re all about the stance, but with the ability to continue using the cars as intended. And truthfully, how many supercars these days live a life of Sloane Street & garaged for future investment? We’d much sooner see a car being enjoyed and customized rather than simply tucked away.